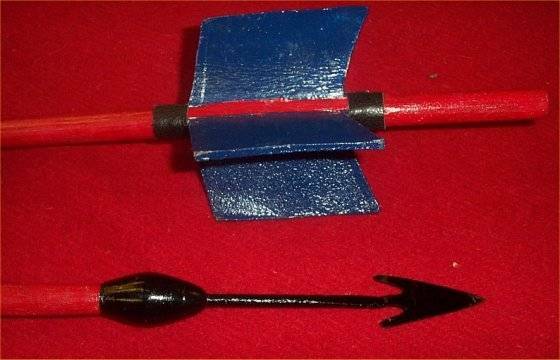 he Roman Plumbata was a weighted dart used as a weapon. Similar to the lawn darts many of us played with as children, but far deadlier. Barbed steel heads weighted with an iron weight and guided by thick leather fletches, the Deepeeka version of the plumbata stands ready to help you repel a charge. In the late Roman period lead weighted darts called Plumbatae came into use. Also known as mattiobarbuli (little barbs of Mars), darts like this were carried five to a soldier in the hollow of the shield and were thrown as medium range projectiles. This Plumbata dart features a read painted wood shaft with leather fletchings and a weighted steel tip with black finish.